Discover what conditions make two triangles congruent. Follow the directions below to complete the task. Drag the vertices on the blue triangle to change the side lengths of both the blue and red triangle. 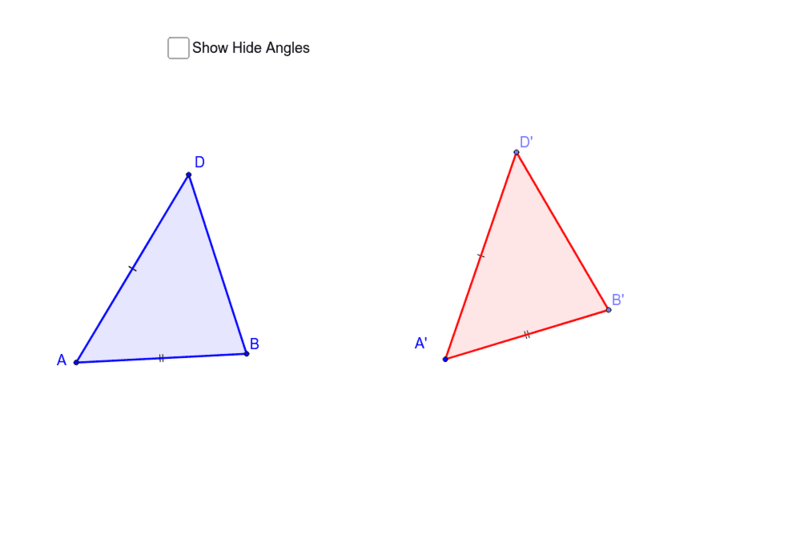 Angle A and A' on both triangles can be changed by moving the angle sides. When do both triangles appear to be the same size and shape? When this occurs, what do you notice about the sides and angle measures on both triangles.